1. From the Effects window (Video Transitions > Pixelan folder) of Premiere Pro, drag BlurMaster onto a cut point between two clips in any track, or onto the beginning or end of a single clip. 2. Click the applied transition in the Premiere timeline to activate it. Drag the transition's edge to adjust its duration as desired. 3. 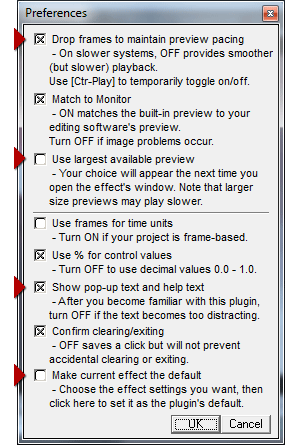 In the Effect Controls panel of Premiere Pro, click the Custom button that is below Premiere's standard transition controls. The BlurMaster interface will then appear. 1. If you are using Premiere Elements 12 or later, make sure you first turn on its Expert view to see all available effects and transitions, including plug-ins. 2. From the Transitions tab of Premiere Elements, choose Pixelan in the tab's top menu. 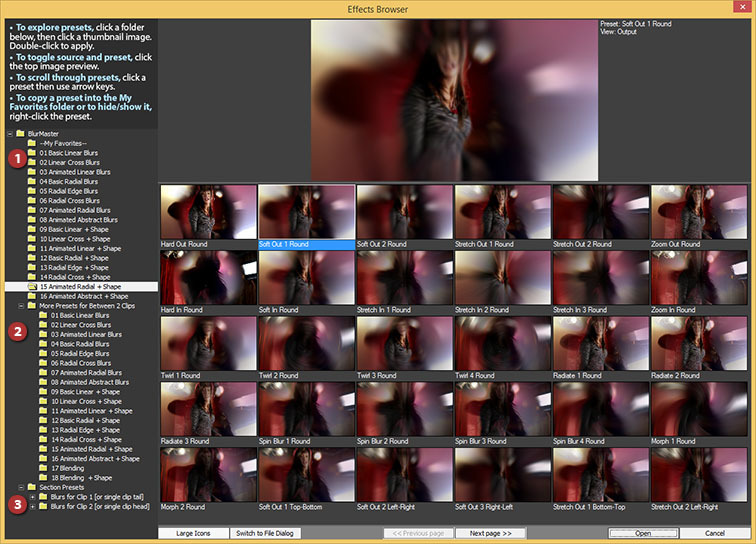 Then drag-and-drop BlurMaster onto a cut point between two clips in a Video track, or onto the beginning or end of a single clip. 3. In the Transitions Adjustments panel that will appear, adjust Duration and Alignment as desired, then click the small More button at the bottom of the panel. That will reveal a Custom button. 4. Click the Custom button to open the BlurMaster interface.